Deb Scott (blog) is grateful for opposable thumbs as she is not good at memorization. 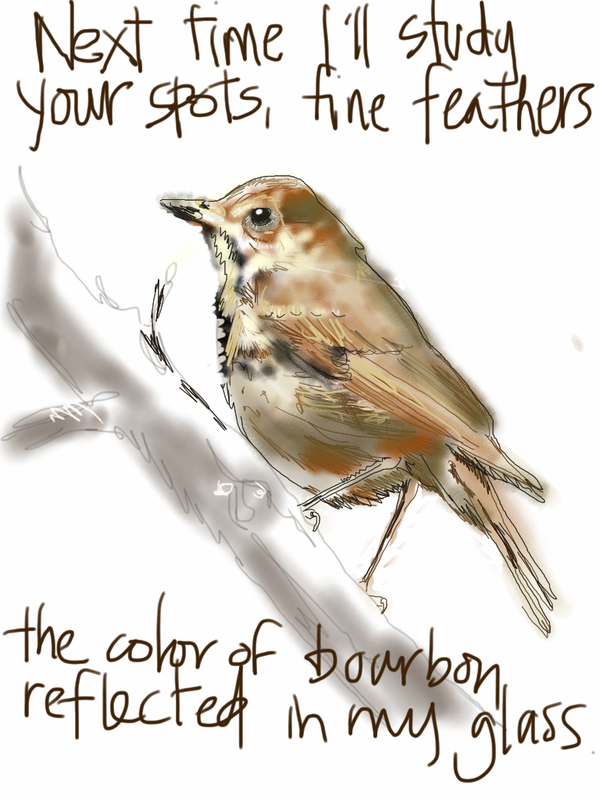 She dabbles with words and images on paper and iPad. She shares her Portland home with a variety of critters and one patient husband. A list of her published poetry, prose and art is here and includes some of her favorite places like qarrtsiluni and Right Hand Pointing. The artwork is a digital (iPad) sketch based on one of my photographs, taken on an urban walk. 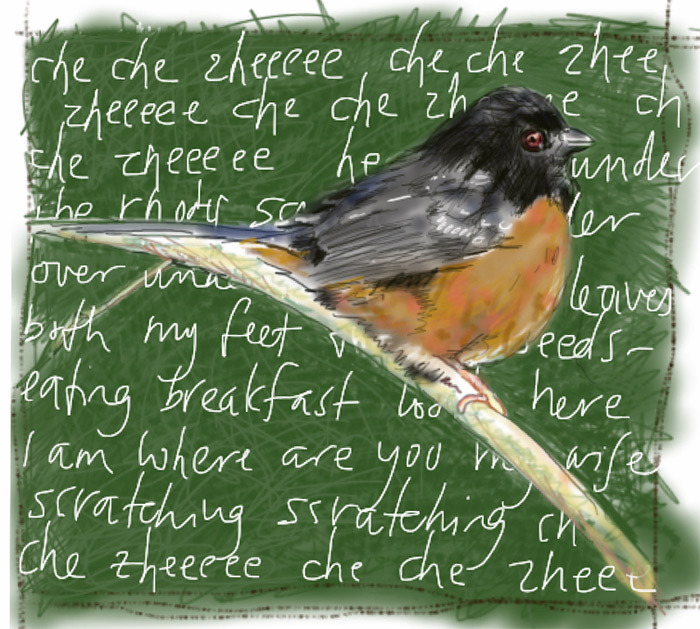 The birdcall “Che che zheeeee” is from the Sibley Field Guide To Birds Of Western North America.